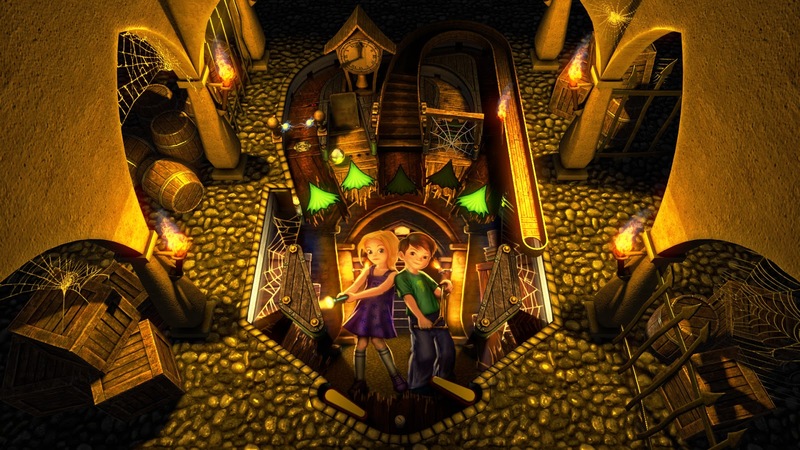 There are several reasons to be excited about the release of Pinball FX3, from improved visuals to retooled online options and a bevy of new modes. Having long been a fan of the Zen Pinball / Pinball FX games, I am pretty excited to see that Pinball FX3 is a considerable leap forward for the series. So what exactly is Pinball FX3? Well, first let's go over the basics. You can download the framework, which is what this review is all about, for free. With it comes a single table - Sorcerer's Lair - so you can sample the goods, so to speak. From there, you can buy packs of tables to help fill in the framework. Zen Pinball has long had a huge list of tables, and most (but not all - likely due to licensing reasons) can be imported if you have purchased them before. I have always found Zen Studios' approach to their tables to be pretty generous. I've gotten some for review, but I've purchased plenty of them over the years as well and I have owned every one available for the PlayStation. And the great thing was, if you bought it on one platform, you could play it on another for free (PS3, PS4 and Vita). That is a lot of cross-buy power, but I have always appreciated that approach. Now over 60 of my previously purchased tables drop right into the current Pinball FX3 framework. The process is actually a relatively simple one, but I will warn you to take your time and click everything you need. There is an option to import your previously purchased tables, which then prompts Pinball FX3 go spider through your account and give you a download option for each table or pack. I previously mentioned that I own all of the tables, so the PS Store purchase screen (though you're getting it for free) pops up a lot. The mistake I made was in getting 'too fast' and not making sure to make sure it was downloading both the table and the unlock item. This made it so that there were a few tables that were downloaded but still locked. I went back in and found them, re-downloaded those items and I was good to go. So it is a good process, just don't rush through it. 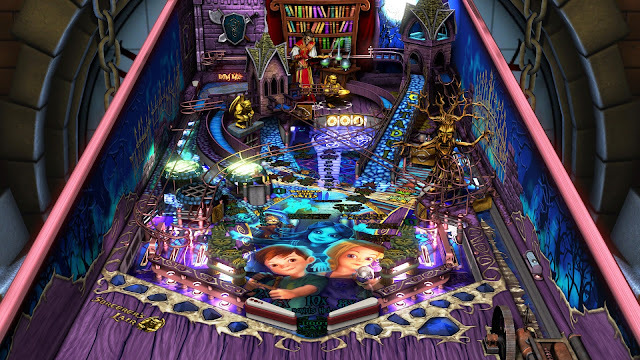 Once up and running, it was clear right out of the gates that Pinball FX3 is a similar yet very different beast. In the prior Zen Pinball games I mostly just played tables in hopes I'd have the bragging rights over my online friends for high score. Once I owned that score, I generally found myself playing different tables. Mind you, that is still a great motivator here, but the Zen Studios team did a nice job of adding some new modes and progression. For modes, we have anew challenge missions. These generally revolve around hitting high scores with a single ball or seeing how high of a score you can rack up in five minutes. In terms of progression, you have a level now that is expanded on by gaining experience that sort of oversees all of your table. In addition, while playing a specific table you can unlock some new bonuses such as increased time on combos or bonus points awarded for using bumpers. This creates an experience system on the more granular table level. One other cool multiplayer option is asynchronous play for those who want to compete against a friend without actually being live and online at the same time. And of course you still have high scores, both for tables among all players, but once again you have a handy friends top scores page as well. None of this would really matter of course if the tables were boring to play. Now admittedly Zen Studios has embraced a more arcade style of pinball than many of the other video game tables that are focused on authenticity. There is no right or wrong answer from my standpoint - I grew up playing physical pinball tables after all. The physics are consistent and you get a good feel for how the ball moves about quickly enough, but there are sub areas within many of the tables, including mini-games with objectives that can only really be achieved with this style of play. If you are looking for straight up old school pinball, Pinball FX3 is probably not the best overall option. However, I enjoy that these tables can offer so much more variety because of Zen Studios' willingness to embrace this series as 'video game pinball'. It is interesting, because Pinball FX3 is the expansion I never knew I wanted. At first I thought we were getting a new wrapper with some updated graphics (since Zen Pinball 2 was built with the PlayStation 3 and Vita hardware in mind, not the more powerful PlayStation 4), but I'm happy to say that there is a whole lot more going on here than just a fresh coat of paint. 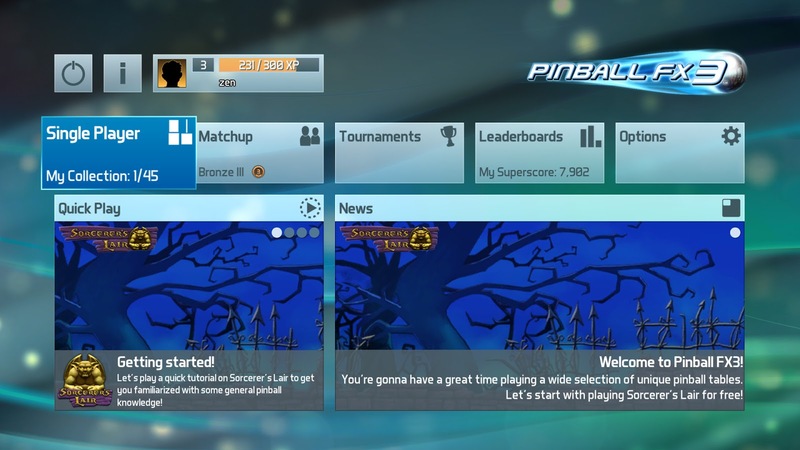 I have sunk hundreds of hours in with Zen Studios' particular flavor of pinball, and now I imagine I will be spending hundreds more with Pinball FX3.